Welcome to Simply Women Ohio! We are a small charitable organization started and maintained by students in the Yellow Springs, Ohio school district. Please click here for more information about the history of the organization and our annual fundraiser, the Simply Women 5k Run/Walk for Women and Girls. Our activities focus on these goals and include not only the annual 5k event, and purchase of uniforms and equipment for local female athletics, but also educational programs for girls in middle/high school in collaboration with Yellow Springs Schools, 365 Project and the Human Relations Commission, and the Yellow Springs Police Department. 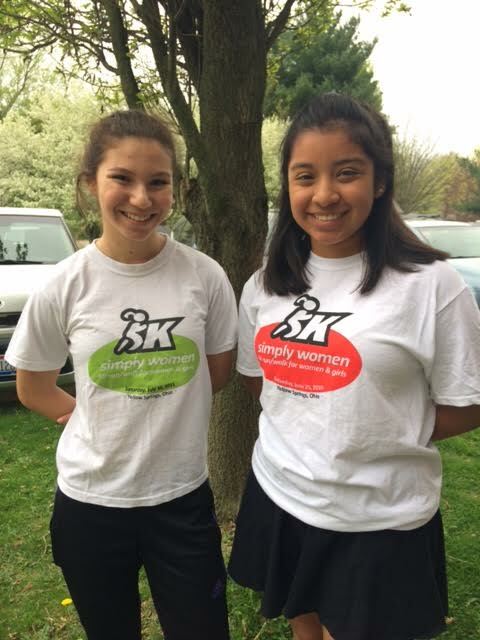 Please join us in 2019 the 11th Annual Simply Women 5k on Saturday, June 29th at 9:00am! This is an opportunity to make a tremendous and lasting impact on an entire community of young women. Because of our sponsors and participants, we are able to do some pretty amazing work in the lives of girls. We have been told by participating women of all ages (ranging 4-80 years, so far) that the 5k event alone has been life changing! Wow! For information about the 2019 5k please click here. For 2018 race results and photos, click here. At the end of the school year, we present a senior with the $500 Leadership in Athletics Award. This year marks the 9th year Simply Women Ohio has the honor of recognizing another leader in our school. This year’s recipient stands out for her commitment and her love for what she does. She has been strongly involved in soccer, swimming, and softball. She brings her best effort and attitude, and encourages her teammates to do the same. In addition to her impressive athletics, she is a member of the National Honor Society, and active in Project Charlie as well as SPIDEE. 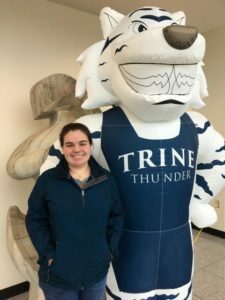 Trine University is lucky to be gaining such a strong leader. Congratulations to Amelia Grey! The two student representatives on the SWO board are Sara Zendlovitz and Jude Meekin. Sara and Jude are juniors at YSHS. Sara is a competitive swimmer, and has been for about 11 years, but her favorite thing to do is ride horses. Jude enjoys running track and cross country, and has also been swimming competitively for around 11 years.